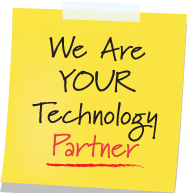 Vantage Point Solutions Group is a leading regional provider of technology solutions for small and mid-sized businesses. For more than a decade, the team at Vantage Point has been delivering solutions that leverage the power of technology to add value to the client’s organization. From initial consulting and evaluation, to solution implementation, to day-to-day support, Vantage Point is a reliable and trusted resource for business solutions. From our offices in Salisbury and Rockville we cover the Mid Atlantic region including Delaware and the Eastern Shore of Maryland, Baltimore to Washington DC to Northern Virginia, and areas in between. We are seeking a driven, ambitious and industrious Business Development Manager for both the Rockville and Salisbury offices. Your primary focus in this role is to identify and close new business opportunities for Business Technology Support Services and Web Development. Territories are either DC Metro or Eastern Shore depending on your home base. As a Business Development Manager you must be comfortable cold calling businesses and organizations to build and maintain relationships with the decision makers and support staff. You must be able to connect with Senior and C-Level managers and business owners at client organizations. – Proven track record of consistently meeting or exceeding quotas in developing new leads, qualifying prospects and closing sales. This position is for an individual who is energetic, aggressive and willing to do what it takes to be successful. Across both offices, we have a great team of people, a culture that fosters and encourages collaboration and communications, and a demonstrated history of providing stellar customer service. We have great benefits including one of the best comp plans in the IT business, holidays, vacation and sick days, medical, dental, disability, retirement plan with matching, and more. We are also committed to helping our team members grow through training and ongoing advancement. Base Salary will depend on your experience. Additional compensation includes a no-cap, residual commission based and goal based incentive structure.